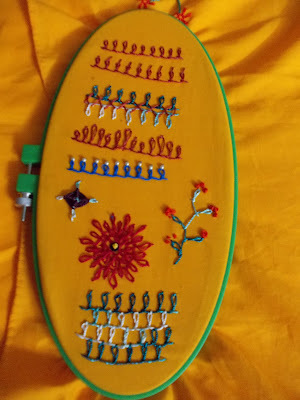 This week's Tast challenge is Basque stitch. I worked this stitch for the first time, very interesting and beautiful stitch. Very nice!!!!! I like the red flower. Is this really your first time? You have made many variations. Great! Lovely samples, Nalini! Love the big red flower. thank you nalini for visiting and commenting on my blog :) I greatly appreciate folks who take the time to come by and comment! 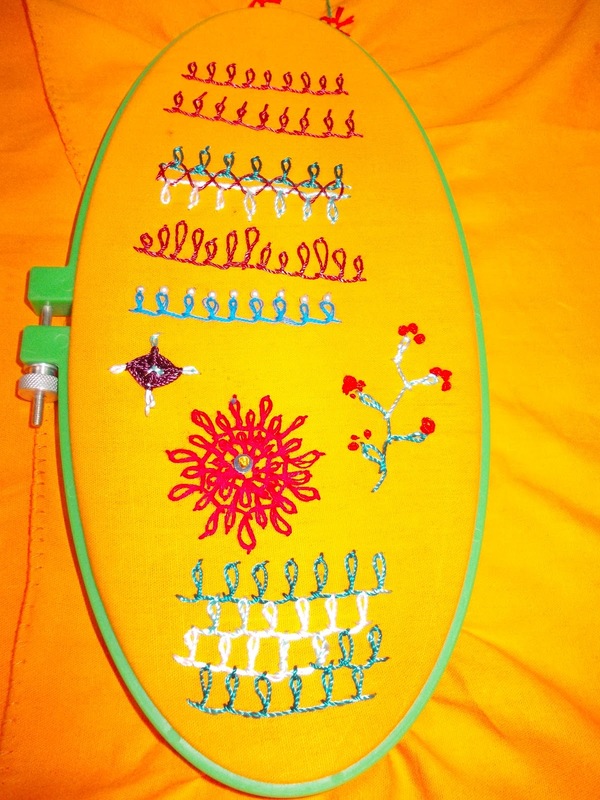 I love your bright colors with background and stitches! Thank you for your comments on my blog. Your experiments with this stitch are lovely!